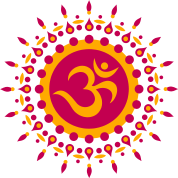 Hindus have commended Hawkins County Schools (HCS) headquartered in Rogersville (Tennessee) for reportedly launching yoga in Pre K classes, calling it a step in the positive direction. Distinguished Hindu statesman Rajan Zed, in a statement in Nevada today, applauded HCS for coming forward and providing an opportunity to students to avail the multiple benefits yoga offered. Zed, who is President of Universal Society of Hinduism, urged Tennessee Governor Bill Haslam, Tennessee State Board of Education Chairman B. Fielding Rolston and Tennessee Commissioner of Education Dr. Candice McQueen; to work towards formally introducing yoga in all the public schools of the state, thus incorporating highly beneficial yoga in the lives of Tennessee’s students. According to US National Institutes of Health, yoga may help one to feel more relaxed, be more flexible, improve posture, breathe deeply, and get rid of stress. According to a “2016 Yoga in America Study”, about 37 million Americans (which included many celebrities) now practice yoga; and yoga is strongly correlated with having a positive self image. Yoga was the repository of something basic in the human soul and psyche, Rajan Zed added. This yoga program has been reportedly implemented to help students increase their ability to concentrate, control student behaviors, and manage stress. Hawkins County Schools, comprised of 18 schools and one alternative school, serves nearly seven thousand students in the towns/cities of Bulls Gap, Rogersville, Surgoinsville, Church Hill, Mt. Carmel, and surrounding communities. Its Key Values include "High and rigorous expectations". Bob Larkins is its Board of Education Chairman, while Steve Starnes is Director of Schools.